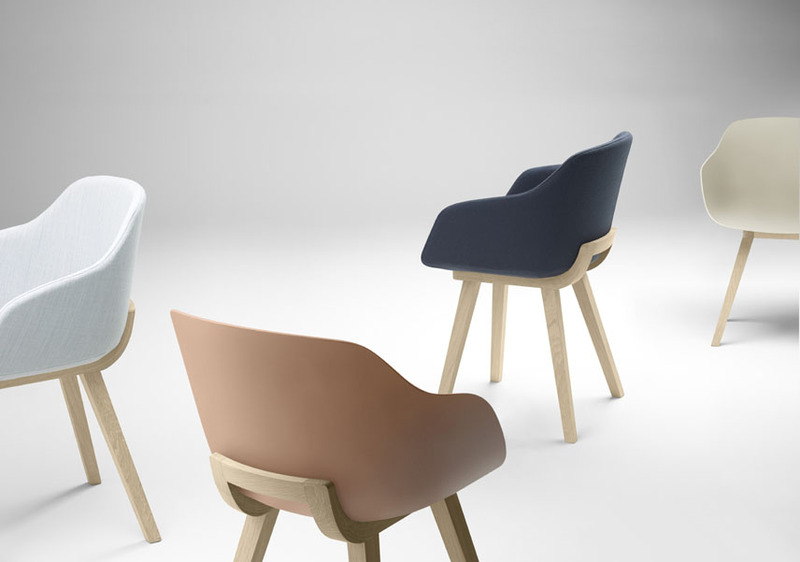 The first chair to be manufactured in bioplastics has been introduced to the market by Studio TK and Alki. Designed by Jean Louis Irtazoki and Anders Lizaso of Alki and offered through a partnership with Studio TK, Kuskoa Bi is made of fully recyclable materials derived from plant-based renewable resources. 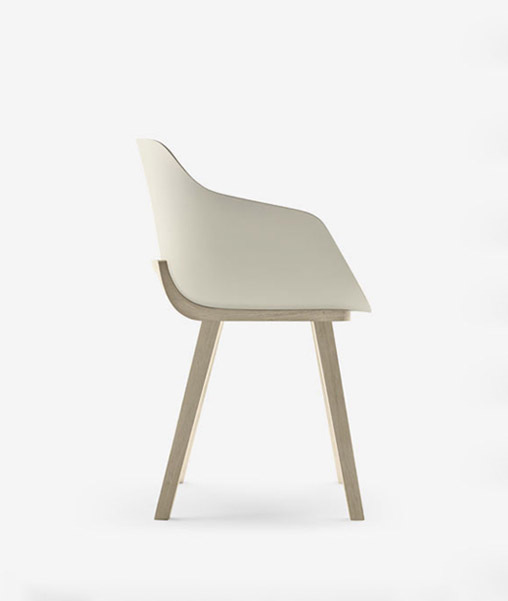 Though plastic proved to be the best material for the chair, the material’s production runs contrary to Alki’s fundamental principles on sustainable development, and thus the bioplastic material was created. The rugged shell is purposefully shaped to optimize back and arm support for long stretches of time while sitting. Configured in a wood leg, 4-star swivel and 5-star caster, either fully upholstered, in the original bioplastic shell or with an upholstered seat pad, it allows for use in high-traffic areas, such as collaborative spaces in the office and university classrooms.